Aspects of this Project first emerged in 1977, such as Local Children: Fight by the Mayflower Steps, also known as Barbican Boys - The Fight. However, the final Project was shown in 1980 in parallel with Project 12, Suicide: this accounts for the gap of five Project numbers between the contemporary shows. Numerous local businessmen, fisherman, craftsmen, shopkeepers and local characters sat for the paintings. There was Stanley Goodman, chair of The Plymouth Barbican Association, the charity which had refurbished and maintained numerous buildings of historic interest in the area, including No.25 The Parade, where Lenkiewicz had his studio. Mr Jacka, owner of Britain's oldest working bakery, also featured. John Nash posed with his wife, Adele: John owned the 'House That Jack Built' and had given Robert his first studio space on The Barbican. Other sitters included: the proprietor of Cap'n Jaspers open-air café, John Dudley; local potters, John Pollex and Tony Evans; Philip Saunders, owner of the Reynold's Gallery, where Robert exhibited the Love and Romance Project; Bill Hodges, described as the "owner of the ‘Barbican Gallery’ and its eccentric contents"; the sail maker, Richard Tope; Steve Barrett, the chef from Piermasters restaurant; Mr Clements, the second-hand book dealer; Joe Prete, "ice cream maker par excellence and café owner"; and Tommy Dunstan, the window cleaner "until robbed of his life savings". Notable by their absence are the innumerable local pub landlords, towards whom Lenkiewicz maintained an abiding hostility based on his hatred of the social effects of alcohol. Each sitter for the Project was asked to contribute a text, a personal view of The Barbican and its characters. 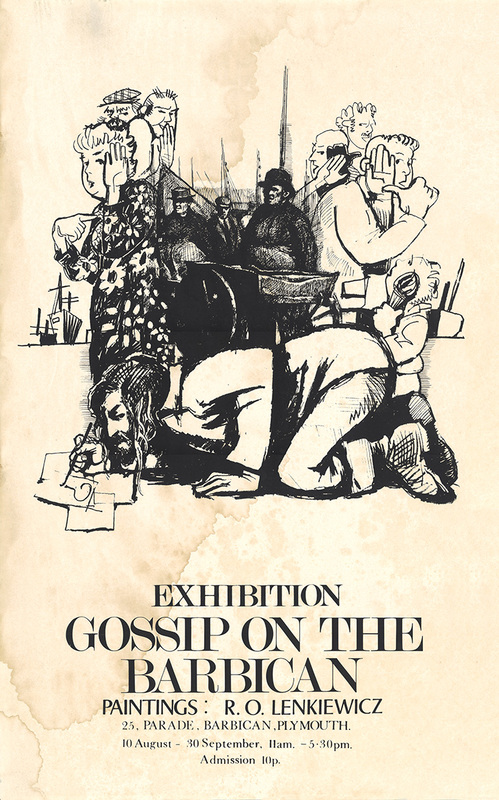 Lenkiewicz concluded that "gossip was the glue that stuck society together" and that "indiscretion came second in the race towards feeling significant in one’s immediate environment".